The new options available to hotel owners can reduce energy and maintenance costs by thousands, even millions of dollars in a year. 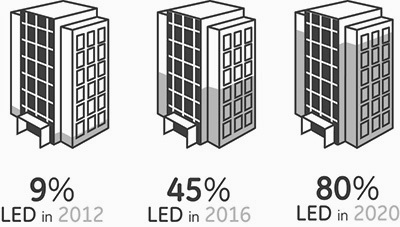 Increasingly hotel owners, property managers and lighting designers are turning to LED (light-emitting diode) technology. In fact, according to a report by global management consulting firm McKinsey & Company, the LED adoption rate is expected to surge in the hospitality sector to as high as 80 percent in 2020, so the time to act is now. Property owners love LED area lighting for its energy-savings and improved look and feel. From guest rooms to common areas, brand signage, outdoor areas and parking lots, energy savings are significant and the lighting will be greatly improved. Outdoor LED fixtures can pay for themselves in only a few years. A large hotel chain, with more than 3,200 locations, has saved more than $4 million a year by simply switching to LED lighting for new signage. LED lighting technology has been evolving rapidly, and all LED light bulbs are not created equal. Navigating the myriad of information, suppliers, and differences between efficiency products is increasingly challenging. URS serves as your independent LED expert to support design requirements, procure the right products, manage logistics and fulfillment, and provide the highest level of customer satisfaction throughout the entire process. For the past 12+ years, URS has been the leading utility expert delivering increased utility NOI and value to owners’ multifamily, commercial, military, hospitality and affordable portfolios. Now, URS brings you a fully-managed LED Lighting Service that generates further value. Utility Revenue Services was engaged by a leading luxury resort company to design and execute an LED retrofit solution and provide energy procurements services for a hotel property. The LED lighting retrofit resulted in an improvement in lighting efficiency of 83% overall. URS also conducted an RFP process and negotiated and secured a customized gas contract that resulted in the reduction of gas expenses by 35% in peak months and approximately $50K annually. Cutting down on energy costs and controlling energy consumption is a priority for all owners. Switching to LED lighting conserves cash flow and delivers on both of these objectives. The greatest barrier to implementing LED lighting solutions is budget constraints and upfront costs. "Pay through Savings" overcomes this budget dilemma by providing savings in energy without any upfront investment from the customer. 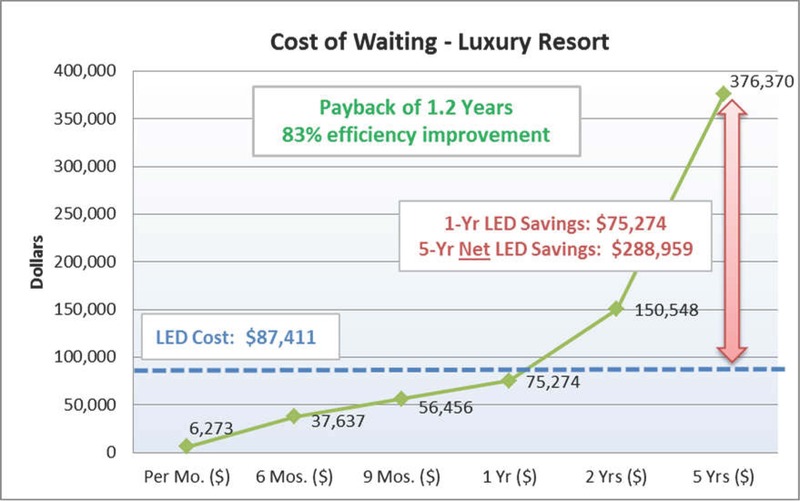 Owners can use the savings realized from LED lighting retrofit projects to pay for the upgrades over a period of time. We perform lighting audits, select appropriate products, manage installation - saving our clients from the bid process, selecting and managing installation vendor and dealing with subcontractors. We secure rebates and handle warranty replacements. We manage all aspects of project logistics so our clients don't have to provide or allocate project management resources. URS serves as your independent LED expert to support design requirements, procure the right products, manage logistics and fulfillment, and provide the highest level of customer satisfaction throughout the entire process. The cost of waiting far exceeds the investment, and rebates are often available to further lower your cost. Contact us today!